Osloh makes clothing with details to address the many needs of urban cyclists. 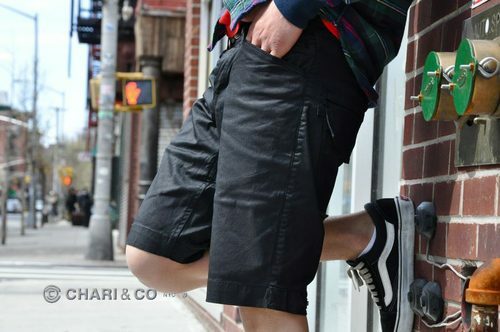 Since it’s spring, the NYC-based company has re-upped Chari & Co with their newest offerings; shorts and pants. I’m really feeling the shorts. Looks like a good cut and the u-lock holster is a nice touch. Check out more photos and details over at Chari & Co’s blog.